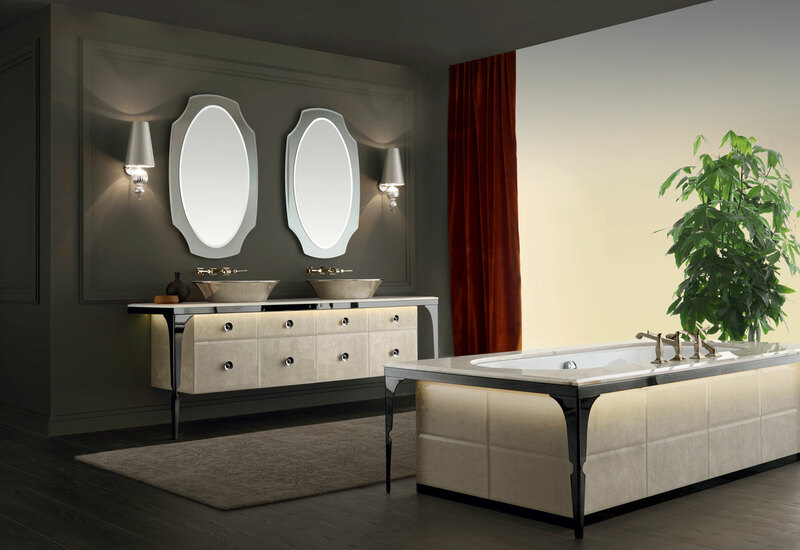 The historical Majestic collection provides a sophisticated and exclusive interpretation of the bathroom environment, dictated by elegant formal solutions. 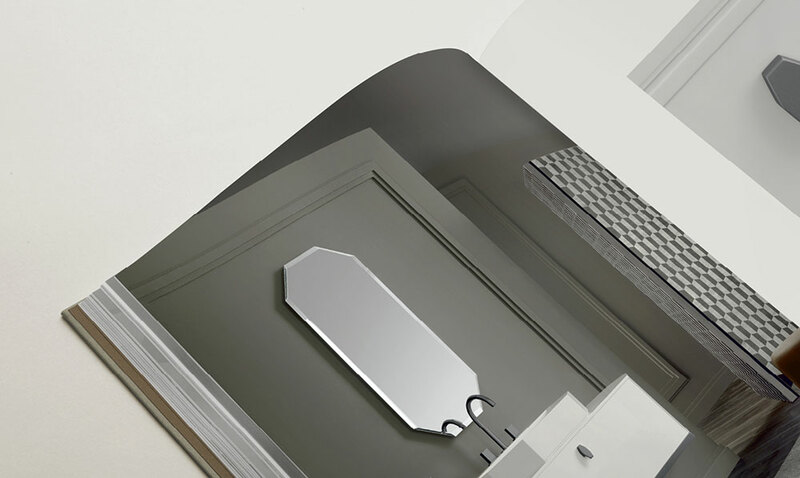 A line characterised by the aesthetic appeal of glass, with fine details and soft and enveloping shapes. The combination of lightness, rigour and the preciousness of materials has given life to Algonquin, a new collection with a strong expressive value, defined by rigorous yet sophisticated aesthetics, with a symmetrical and elegant design. 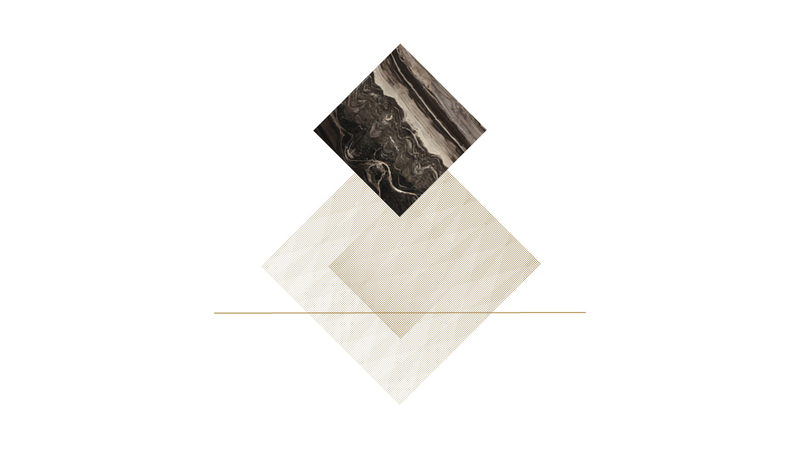 Primary aesthetics in which materials are second-to-none. 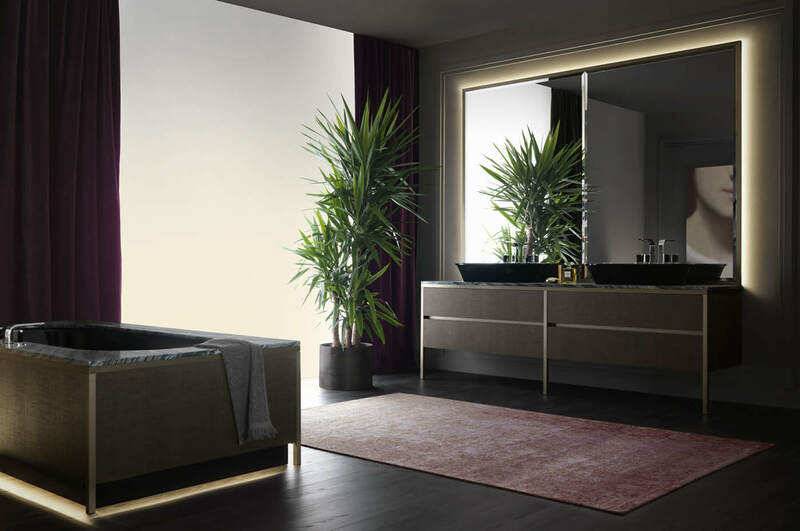 The Four Seasons collection is defined by the quest for the starkest geometrical fundamentals, as testified by the absence of handles on the vanity units. 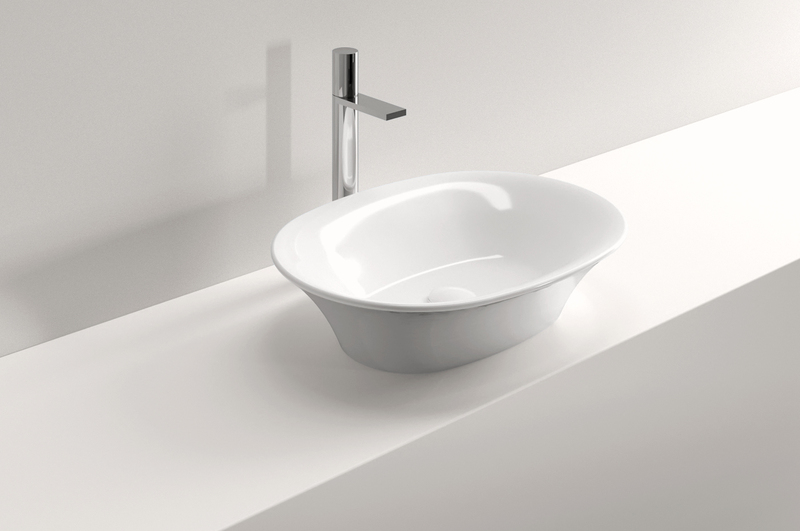 Sit-on washbasin in white ceramic or with platinum or gold outside, else full marble or onyx. With continuous waste without overflow hole basin. Depth 11 cm.